Our beautiful city just keeps getting better. New urban re-use projects are creating great outdoor spaces beyond the famous downtown River Walk. In my last post I brought you a tour of the intriguing new Hotel Emma. Now I'll take you back a few weeks when we toured the newly opened plaza on the east side of the hotel. The Pearl is named for the former Pearl Brewery which operated for over 100 years until it closed in 2001. The site was purchased by Christopher Goldsbury and his Silver Ventures investment firm. Mr. Goldsbury--one of six billionaires who call San Antonio home--made his money from Pace Foods, the company which helped make salsa America's number one condiment. Now that The Pearl is coming together, I am amazed by his vision and community investment which has created a wonderful urban destination for locals and tourists. Let's get walking around the new plaza. The Second Empire style former brewhouse built in 1894 is now a guest room tower at Hotel Emma. Photos of guest rooms show those awesome curved windows from the inside and the cupola is now a two-story guest suite. In San Antonio where the tourist industry is our top private employer, the opening of a new hotel rarely creates more than passing interest. 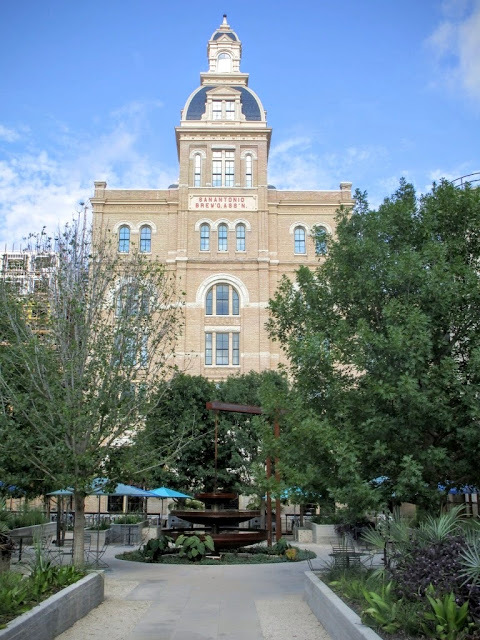 Hotel Emma, newly opened at The Pearl, is a notable exception since it has garnered more interest in the national press than usual and this excitement also extends to locals. 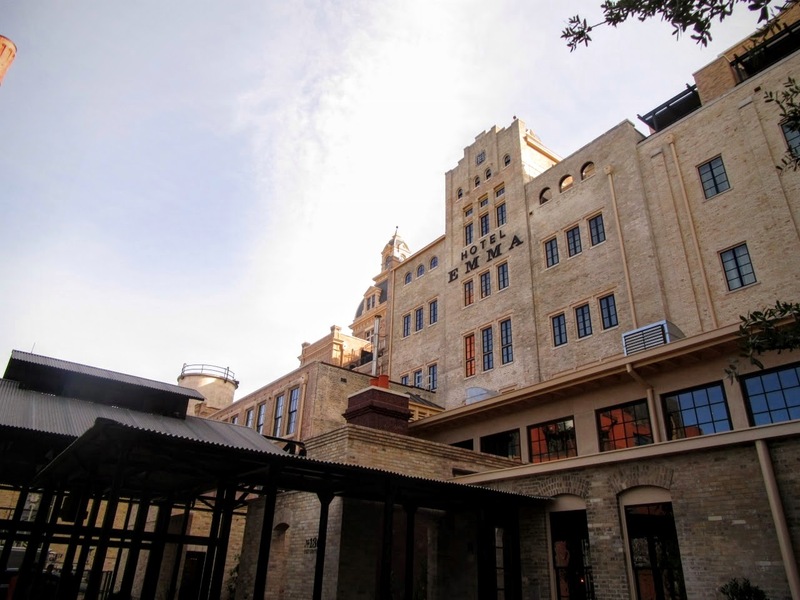 The Pearl is a destination for shopping, dining, and entertainment on the site of the old Pearl Brewery along the north end of our famous River Walk. Named for Emma Koehler who ran the brewery in the early 20th century, Hotel Emma promises to be the anchoring jewel in a rapidly growing area of the city popular with tourists and residents alike. 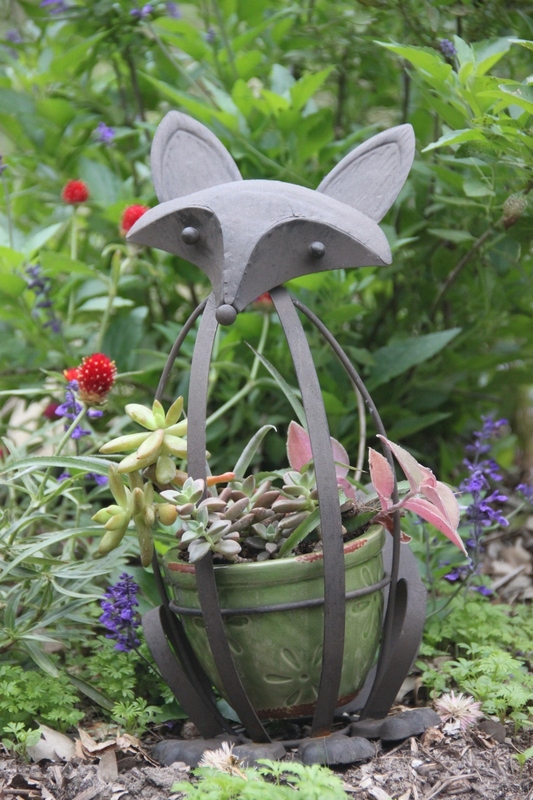 This sweet Fox planter was a gift from my friend Jeannette. I immediately planted it up with succulents and placed it on the sill above the sink. It's been a few months so I just replanted it and, since a bright window is not the best background, we went for a walk together in the garden! It's been good weather this fall and there are still plenty of nice blooms in the garden. This week, as everyday, I'm thankful for my many blessings. Wishing all my friends a Happy Thanksgiving! Since beginning this blog I've toured many gardens and they are all special for different reasons but usually it's the plants or design or both. The garden I toured on Friday stands out for reasons having little to do with gardening. 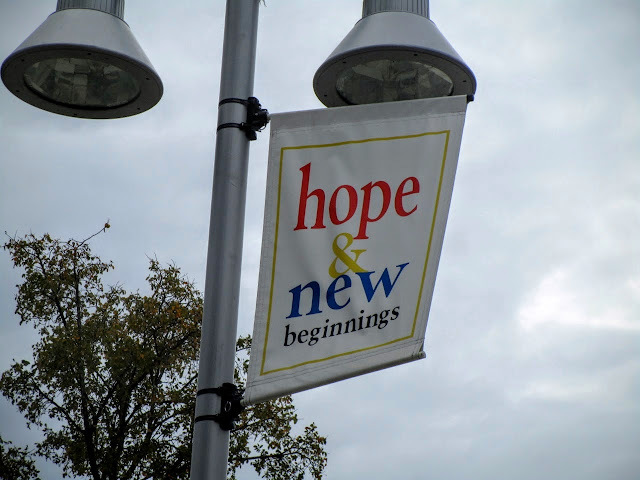 I joined my friends from Gardening Volunteers of South Texas (GVST) to tour Haven for Hope, a place that shelters and feeds homeless individuals and families while providing a place of "transition and transformation" for those who are ready to take that step. 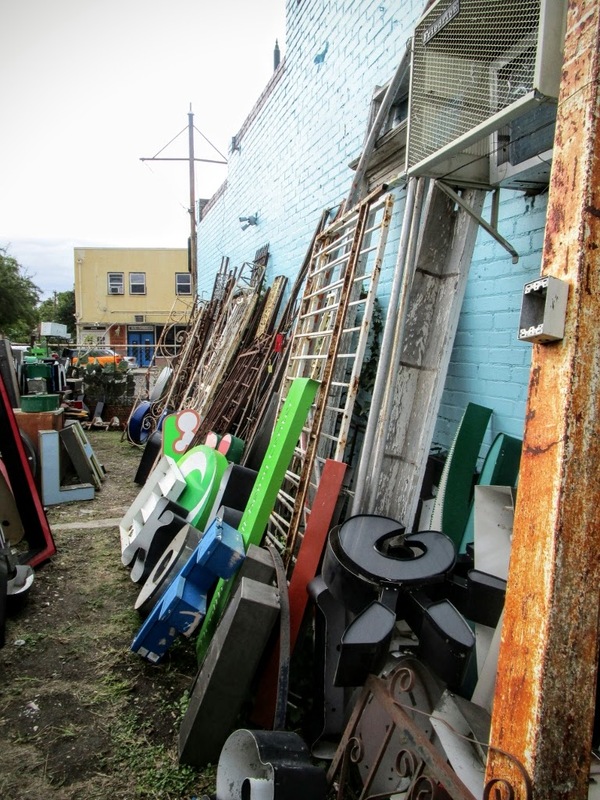 I took the opportunity to stop by Yeya's Antiques and Oddities recently. The "yard" as Mario calls it gets very hot during summer months so I especially enjoy going once the weather turns cooler. Lets see what's new; oh boy, a recently arrived stock of sign letters lining the aisles. Can you spell F-U-N? Warrior and Family Support Center gardens on Central Texas Gardener! Most Tuesday mornings I can be found volunteering in the beautiful Healing and Therapy Gardens at the Warrior and Family Support Center on Ft. Sam Houston in San Antonio. We enjoy serving those who have given so much. I've written several posts over the last two years since I began volunteering there and back in June I wrote about the team at Central Texas Gardener visiting us in the gardens to tape a segment for the show. We had a wonderful time working with the crew and the resulting video is awesome. I'm so excited to let you know the show is now available online and you can find the link and more information at Linda's GTG blog. The video is on You Tube which should be available anywhere in the world. Of course, if CTG airs in your area you'll want to tune in to your local PBS station to see the show. Now for a few photos from the last two weeks in the gardens. 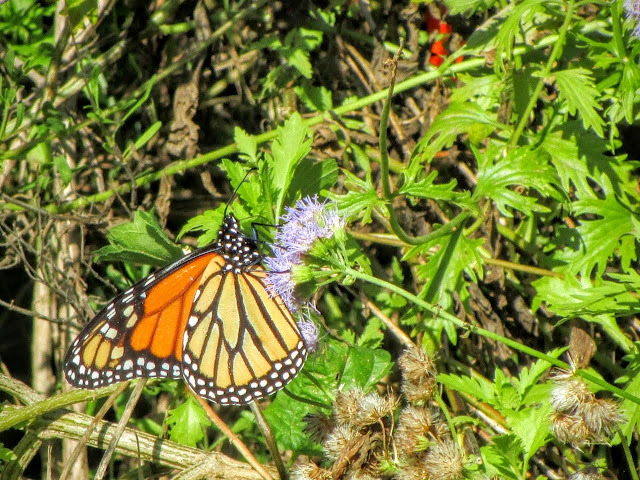 Monarch butterflies were busy preparing to complete their journey to Mexico. It's Wildlife Wednesday and time to share wildlife photos from the garden. For the past few Wildlife Wednesday posts I've posted photos of a Barred Owl which had become a regular visitor to my garden. During October the owl continued to visit the water dishes we placed on the rail for birds.